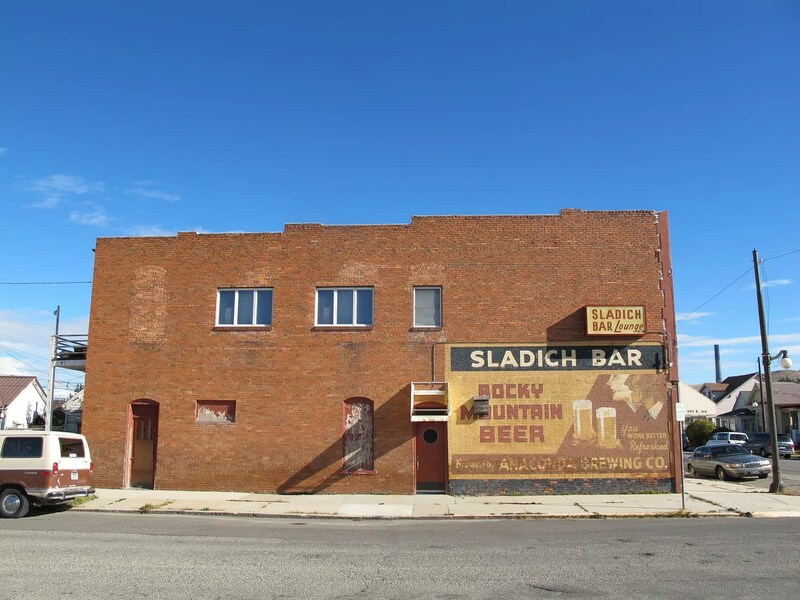 The Sladich Bar opened in 1896 and closed in the early 2000s. Wide factory windows for the apartment up top give the building some ’30s modernist flair, along with the glass brick, porthole windows and tile facade. The left side door skews the ground floor facade off to the right, giving the whole package a slightly unbalanced look. Awning frames are still in place, but the awnings are long gone. From the side it becomes apparent that this is an older building with later updates. Note the brick infill of the tall, skinny original windows on the second floor. 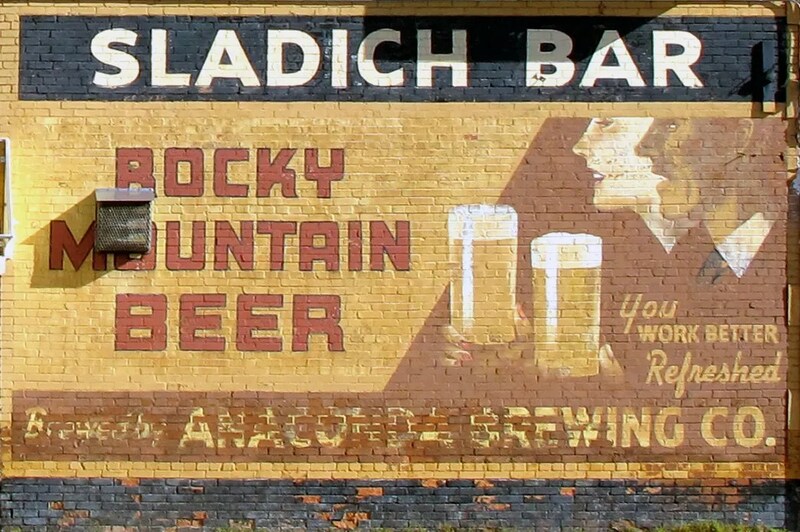 An incredibly well preserved and original hand painted sign on the side of the Sladich Bar for Rocky Mountain Beer, brewed by the Anaconda Brewing Company. Remember – you work better refreshed! 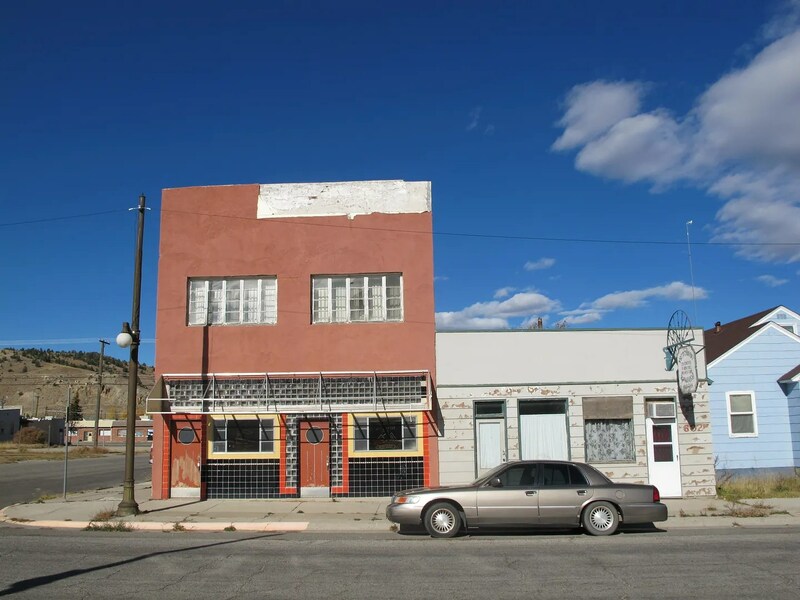 The Anaconda Brewing Company operated from 1898 to 1958, with time off for Prohibition. 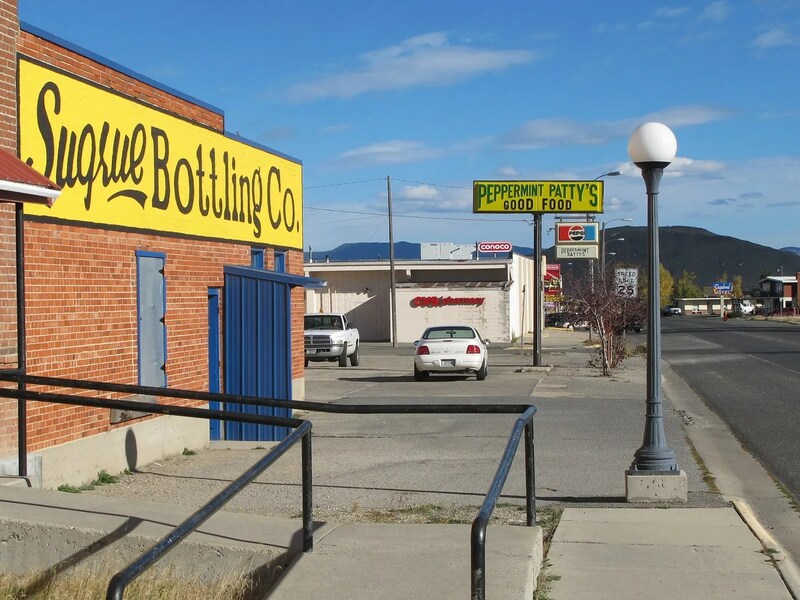 Their soft drink division became the Sugrue Bottling Company. 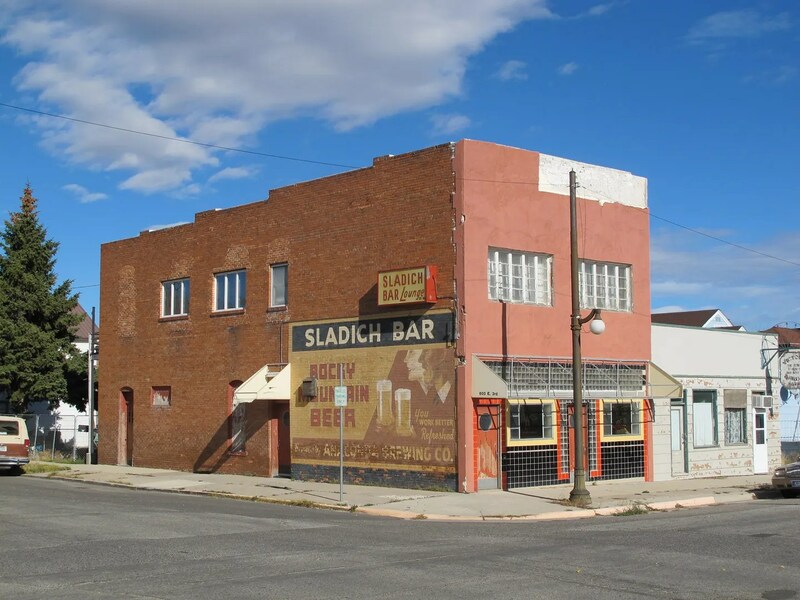 This entry was posted in Uncategorized and tagged 1890s, 1930s, Anaconda, Anaconda Brewing Company, art deco, Bar, ghost sign, Hand Painted Sign, Montana, Prohibition, Rocky Mountain Beer, Sladich Bar, Sugrue Bottling Company by Spencer Stewart. Bookmark the permalink.